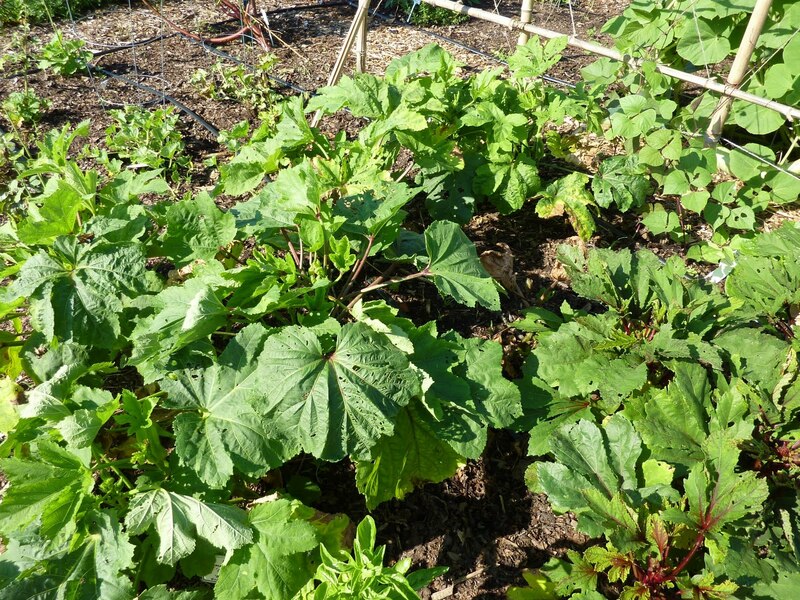 We planted three varieties of okra at the Derwood Demo Garden this year. One of them, Little Lucy, is meant to be dwarf, but the other two, Clemson and Red Burgundy, should be 3 to 4 feet high by now, and they are maybe 18 inches. This isn’t a great photo, but I think you can see those are SHORT okra plants. And bushy. They are producing, though not heavily. I’ll use the “My Plant Is Sick” tag on this post, but I don’t think they’re sick, just… short. We need a “Garden Mysteries” tag. I’m going to blame the weather unless someone has another explanation. Also, I just needed to share this photo. 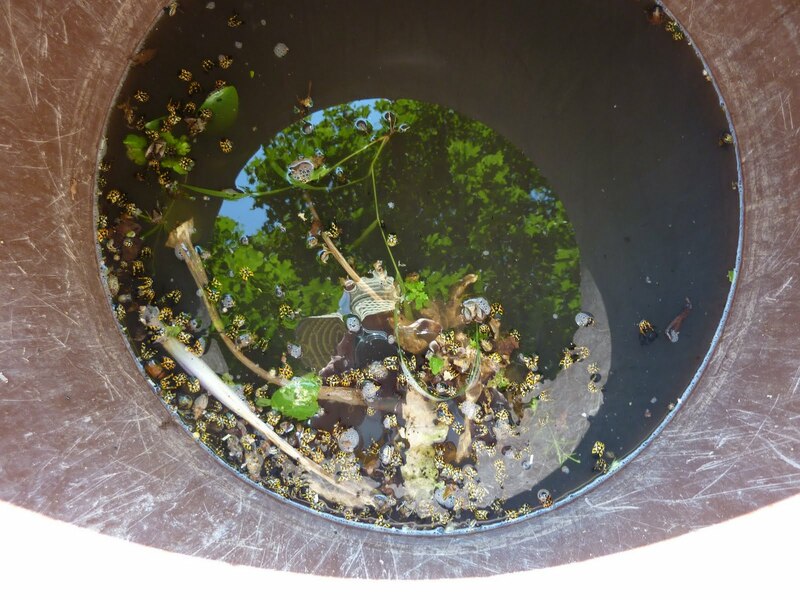 This is a rather artistic and reflective view of all the harlequin bugs I drowned this morning from some uprooted kale plants well past their prime. Watch out for these suckers; on your brassica plants, horseradish, radish and (for some reason) cleome they are far worse than BMSBs. Although there are some of those in there too. ← Combat stink bugs organically! We found some stink bug eggs on our cleome, but that's about it unless they are hiding well in the dense forest of cleome that came up in my daughter's cleome patch. They seem to love our sunflowers and sit at the very top part way out of reach. Hi Christine – Stink bugs probably like cleome as much as they like anything else, but harlequin bugs LOVE it. So you probably have no harlequin bugs, which is one good thing. Stink bugs on sunflowers, boo.